Apples area an amazing fruit; they’re sweet, filling, and juicy and loaded with fiber, vitamins and minerals. They are the perfect snack because they are already portion controlled. And as for preparation – just wash and eat! Of course, many kids would rather eat potato chips; they have relatively little comprehension of the importance of healthy eating. Most kids just like eating and the less healthy, the better! 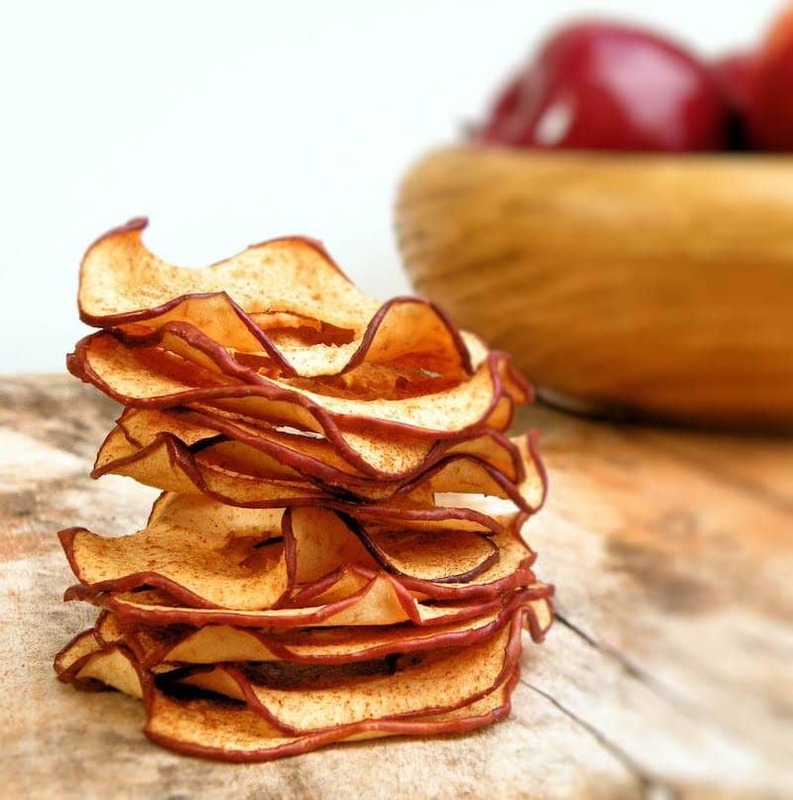 These apple chips bridge the gap between what kids should eat and what they want to eat. They’re tasty and sweet but also crunchy and healthy– a perfect kid-friendly treat. Heat your oven to 200F. Wash your apple and then cut into 1/8th inch thick slices using a mandolin to ensure all the slices are even. Spread the slices over a non-stick baking tray lined with parchment paper. Sprinkle with the cinnamon and vanilla powder to taste – not too much otherwise your child may not like them. Bake for two hours, until the slices are crunchy. Remove from the oven and allow to cool. Seal in an airtight bag to keep them fresh and crunchy for a day.